Click the button below to add the Dawes XC18 2017 Mountain Bike to your wish list. Are you just getting started and want a bit of an all-rounder? 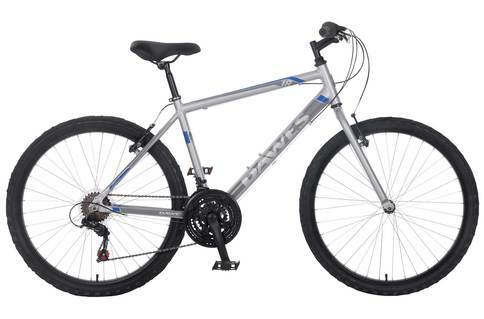 Then the Dawes XC18 2015 Mountain Bike is perfect for you. A lightweight alloy frame, Shimano gears and strong alloy wheels give you the perfect introduction to light trail riding. Hone your skills on this bike with the confidence that it won't let you down.